Saisons, also called farmhouse ales, originated in Belgium. Think of the style as a unique pale ale. Saisons are light in body, with a dry finish. But the Belgian yeast creates flavors you don’t find in typical pale ales. Your first sip of Saison Dupont starts off with a pleasant, thirst-quenching bitterness, followed by spicy hops, a touch of pepper and stone fruit notes. Yes, saisons are great thirst-quenchers, but the style is also wonderful with food. The Dupont brewery in Belgium is now run by Master Brewer Olivier Dedeycker, fourth generation of the Dupont family. 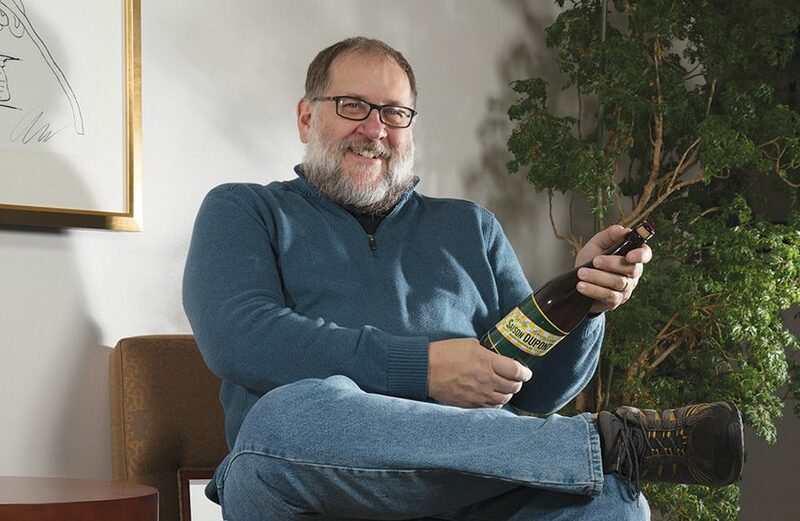 “Olivier’s attention to detail is incomparable,” says Bryson who believes that Dedeycker’s approach, deeply rooted in history, “ensures the beer’s consistency and authenticity.” And it’s the reason why it takes 60+ days to make one bottle of Saison Dupont. “Dupont’s saison deserves to be rediscovered because of its effortless consistency paired with a beautiful level of complexity. It doesn’t shout, it doesn’t need to. The flavor of these Belgian beers runs the gamut from crisply refreshing to deeply complex, and Saison Dupont sits right in the middle of that. There’s always room for it in my drinking schedule,” says Bryson.